The Holland's Hope marijuana strain was masterminded and bred to produce a strain that was tough enough for the chilly, wet Netherlands climate. She represents the standard for the indoor cannabis strains in Holland, and for many other geographic locations as well. She takes on unpredictable weather conditions and somehow still manages to thrive in them. Hence, she gave hope to the outdoor Dutch growers. Holland's Hope cannabis is 100% Indica and that means that she is naturally resistant to mold, mildew and fungus attacks. CannabisSearch.com's Holland's Hope Marijuana Buzz Rating: Knock-Down Stoniness That Paralyzes You With Pleasure! The Holland's Hope strain of cannabis will grip your brain tight and command it to block your pain receptors. Her buds grow dense and compact, filled with THC-loaded trichromes that pack massive Indica powers within. You will feel just fine soon after toking up on a heaving bowl of Holland's Hope; so go ahead and load it to the brim! It's the right thing for people who suffer from depression, chronic pain, multiple sclerosis, cachexia and so many other debilitating health conditions. Outdoor and indoor marijuana cultivators can expect seriously heavy yields from the Holland's Hope strain of marijuana. Enjoy growing and benefiting from her! Holland's Hope 4.60 out of 5 based on 3 ratings. 4 user reviews. I have 3 HOLLANDS HOPE plants (outdoors) that I started from seed back in mid-April.. Today is Sept. 22nd, all 3 plants are now within 10 days of harvest... These 3 plants are absolutley unbelievable in size, one being 7', one being 8' and one being a little over 10' tall... They are without question the biggest plants with the biggest buds that I have ever seen... I estimate a yield of 5 to 6 lbs between the 3 plants.. 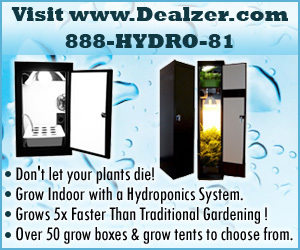 If your'e an outdoor grower looking for a high yield, HOLLANDS HOPE is your ticket !! Begins with a fuzzy feeling in my mouth that totally works its way all over, leaving me comfortable for the rest of the night. A definite great night time smoke for me, because I am out of it for hours. Love it for sleep and relaxation. I love this plant and love the way it looks. The texture is so amazing and the color is so unique the only sad issue is it doesn't last very long. However, it does taste great and smells just as good.